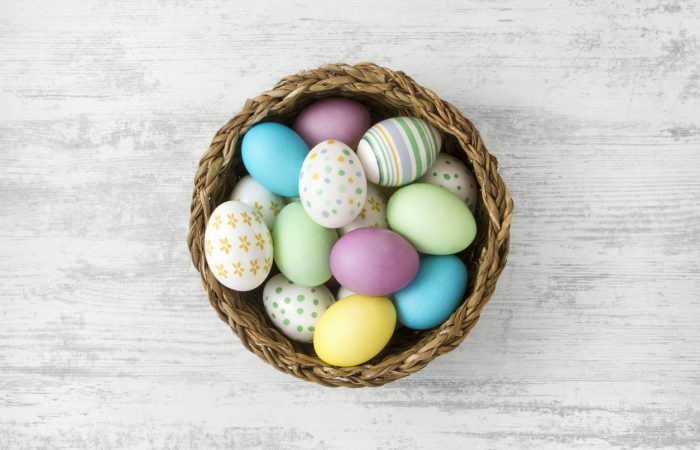 From parties to brunches to egg hunts, Toronto is packed with different ways that families can celebrate Easter together. Looking for something to do with the kids in the city? Here's a list of attractions and events that are easy on your wallet but still tons of fun. The kids are at home for the week and you’re on a budget. Not to worry, Toronto is full of things to do and places to visit that are completely free. There’s still plenty of last-minute—and affordable—ways to entertain your family next week. Here are a few of our favourites. Here are a whole bunch of great events that we think your family will love this month. Toronto is packed with fun Family Day activities this weekend. Here are eight that are sure to leave your family smiling. Bundle up, brave the cold and take in a few of the many events happening around Toronto for you and your family in February. 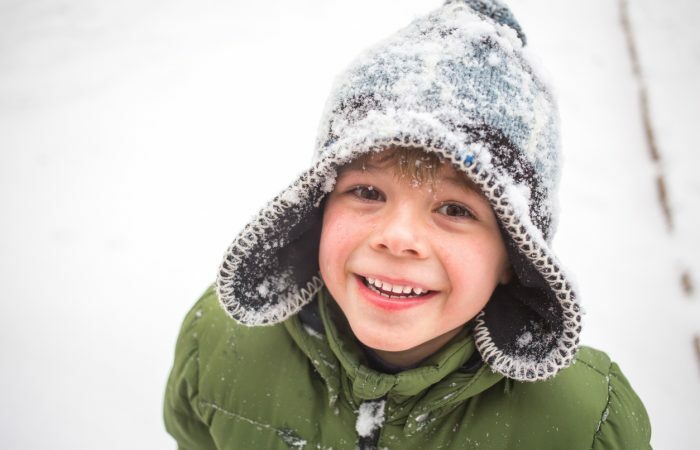 Here’s our master list of cold-weather activities to keep the kiddos busy this winter in Toronto. 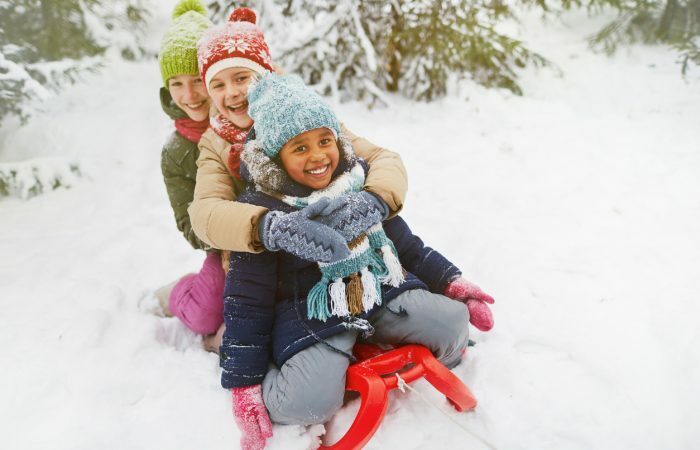 Winter break is on and school is out—now what? There are plenty of amazing shows to see and museums to visit in Toronto, but if you’re looking for something more budget-friendly, these fun events and activities don’t cost a penny! In this pantomime production, the audience and performers interact and let me just confirm for you that this is *highly* pleasing to little kids. You can now easily spend every weekend from mid-November through the end of December sipping hot chocolate and listening to carolers while browsing dozens of seasonally appropriate vendors. Here are a few of the best markets nin the GTA. The 96th annual Royal Agricultural Winter Fair is hitting Toronto once again—this year from November 2 until November 11—and it has tons of fun for families in store. Here's what you can expect from the highly-anticipated (and very adorable) Baby Show this weekend. Hint: we'll be there showcasing some of the SavvyMom award-winning products! 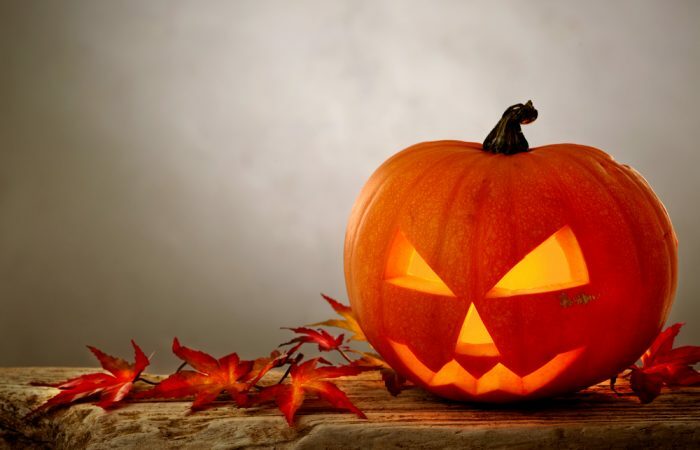 As you get your kids' costumes ready and load up on the candy supplies, you might be wondering what else you can do to extend the Halloween fun for your little goblins. The GTA is buzzing this month with spooky events, guaranteed to make even the crankiest witch cackle. If you want to take your kids out for a free day to explore and learn, here are a few spots to see in the GTA. These are just a short drive from Toronto in Markham, Ajax, Halton Region (Milton, Burlington & Oakville), and Oshawa. On September 23rd, the Westin Prince hotel will become girl power ground zero as athletes, authors, advocates, entrepreneurs, and performers converge for Girl Expo Canada: one full day dedicated to inspiring girls ages 5 to 12. Art. Fireworks. Culture. Even Buskers! There's a lot of fun happening over the Labour Day long weekend in the Toronto area. Here's what to check out as a family. Summer’s here, and Toronto has a ton of ways to have fun on the cheap! 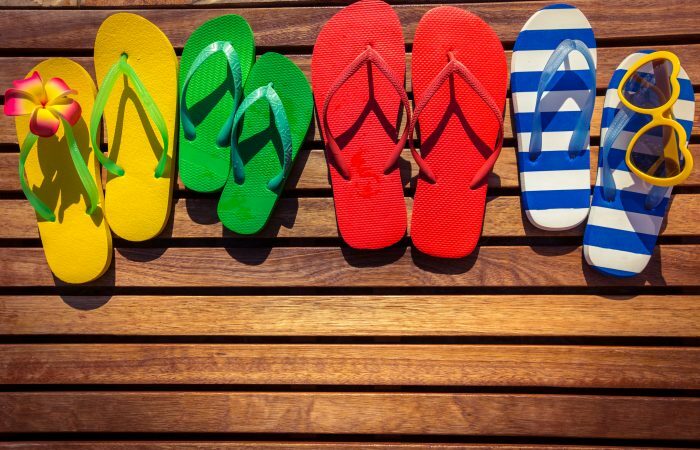 Here are our favourite things to do for free this summer with kids. If you’re struggling with ways to entertain the kids we have a suggestion: Head downtown next week for CBC Kids Days. In addition to being completely free, here are 8 other reasons to check it out. No matter which neighbourhood in Toronto you're celebrating in for Canada Day 2018, there is something fun to do with the family. 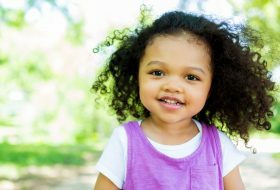 With the right gear—sunscreen, snacks and a pair of pint-sized ear protectors—your little one can partake in the fun of an outdoor music festival with you. Below we round up eight outdoor music events set to take place this summer across Toronto. Calling all little caterpillar lovers! If you’re looking for some fun events this spring, there are no shortage of ways to have fun in and around the GTA—plenty of which are free or under $10. Grab your girlfriends, throw on something other than leggings, and join Vanessa + Melissa for an unforgettable Moms night out. This spring, have some fun for free! We’ve put together a list of 50 free things to do with kids, from art and music, to parks and gardens, to festival and fundraisers—there is something for everyone. 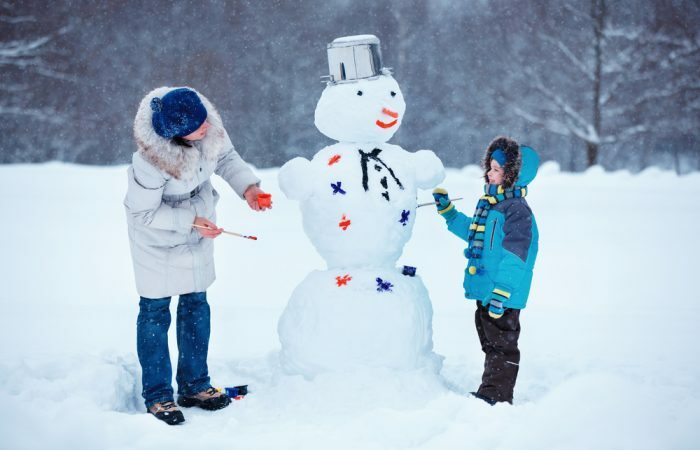 Here in Toronto, the list of awesome March break family activities is a mile long. These are our favourite free and inexpensive things you can do this year. There’s a ton of fun going on for kids big and small in Toronto during March break 2018, including a number of plays and musicals. Here's a list of some of our favourites. Investing in a pricey ticket to a live event when you're not even sure if your kid is ready to sit for an hour or longer is not always appealing. Thankfully, the Lower Ossington Theatre has reasonable prices and a smaller size, making it the perfect venue to introduce your kids to live theatre. Don’t let the wet and cold deter you from getting the most out of the jam-packed Family Day weekend. From plays to bouncy castles to outdoor fun, there’s something for everyone. We've rounded it all up for you in this list. An enchanted evening is taking place on March 15, 2018 at the beautiful Liberty Grand in Toronto. If you want to get wrapped up in a night filled with magic and fun, we fully support the idea. Can you say you’ve set a world record? 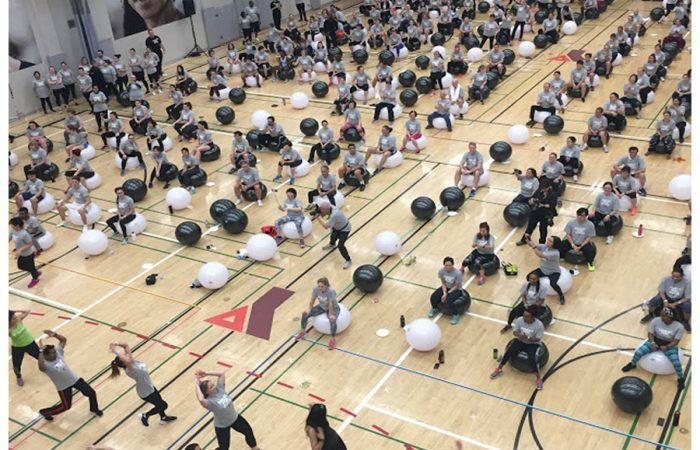 I’m proud to say I can, after an exhilarating event at the YMCA of Greater Toronto, in which more than 450 determined people showed up for the largest exercise ball class in history. 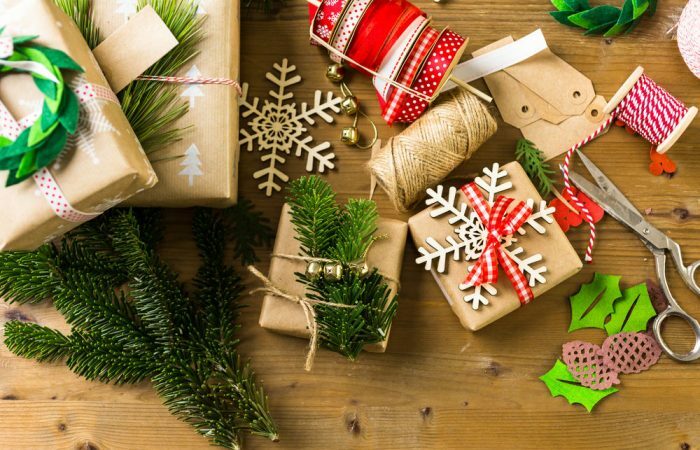 There are so many things to love about the holidays, but at the top of our list are all of the traditions, events, and fun shows that build up to the big day. If you’re looking for a new tradition, Ross Petty’s annual productions could be just what you’re looking for. It's a must-do every year and a lovely family tradition. The music, the floats, and the anticipation of seeing the big man himself...we love it all. 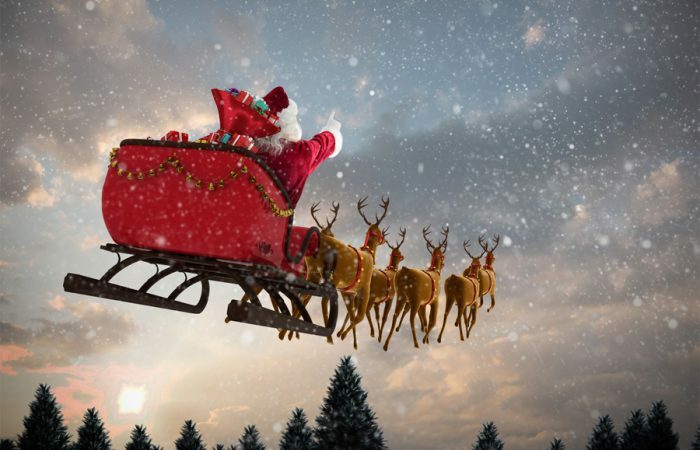 Here's where to catch the man in red around town this holiday season. This is cute! We love Halloween shows—and we especially love ones that offer up family fun for all age ranges. Here's something to do in Toronto this month that everyone can enjoy. Toronto is a great place to be a Mom on mat leave. Whether you are west end, east end or smack dab downtown, here's a great opportunity for you to grab a grown-up beverage, hold the judgment. I had the opportunity to take my daughters to see Odysseo recently. When they asked me what that was, I described it as, “kind of like Cirque du Soleil with horses.” In truth, Odysseo is a beautiful show that combines 65 horses, 50 artists and 350 costumes, all under a giant, big top white tent. There are a bunch of things to do around Toronto this month, so we're rounding up a few of our favourite activities, festivals and, of course, Canada Day festivities. In honour of the big 1-5-0 for Canada this year, the park is playing host to a bunch of great events that also happen to be free. Here’s your guide to conquering June in Toronto and making it through this crazy month like a boss. The best of what's on in Toronto and the GTA for families this Earth Day weekend. 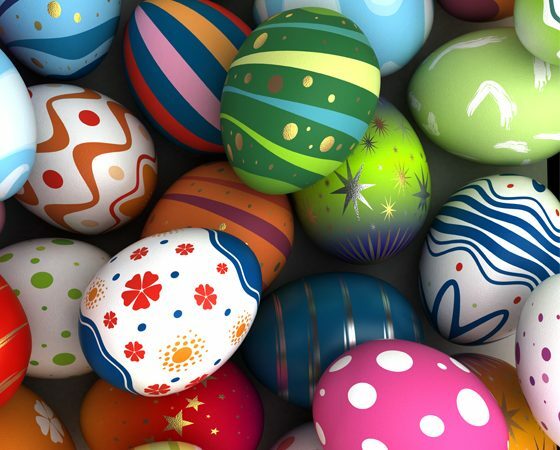 There is tons of Easter fun for the whole family to experience in Toronto and the GTA this weekend. Do you feel that warm sunshine on your upturned face? Rejoice! Spring is officially here and we are all feeling refreshed and recharged. Here's our guide to making the most of April in Toronto. What's on for kids and families this March Break in Toronto? We've got the scoop on the best events, exhibits, shows, outings, and more. Our picks for the best maple festivals and sugar shacks in Toronto and the GTA. Want to make the most of March? Here's what to do, get, play, read, and more in Toronto. The Family Day long weekend is here, and there's so much to do in Toronto! Here's the best of what's on. From what to do, where to go, and what to buy, here's how to make the most of February in Toronto. You did it. The holidays are upon us. 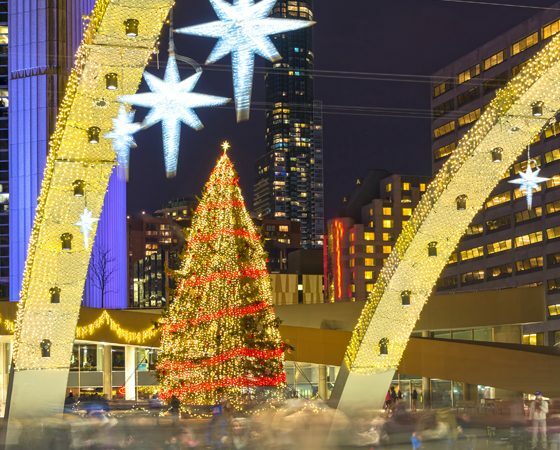 Our picks for the best family and kid-friendly events on in Toronto this Holiday season. What to do, where to go, what to buy, what to read and more. It's the Savvy way to make the most of December in Toronto. 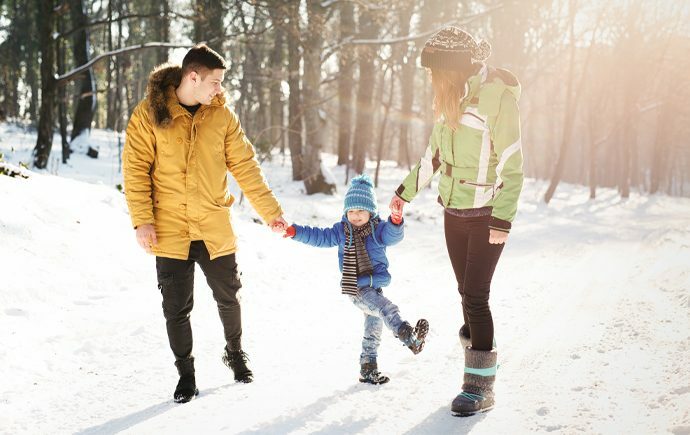 Looking for something a little different to do as a family this winter? For a healthy dose of silly, fantastical, zany, exuberant fun, Ross Petty never, ever disappoints. What to do, read, buy, surf, eat and more during November in Toronto. Here's to making the most of the month with the Savvy Guide to November. The spookiest time of year is almost here and there's nothing scarier than not knowing what's on in the city. Here are our fave Halloween events in Toronto. No better time than summer to explore Toronto with kids and show off its awesomeness to visiting family and friends. Bust out the rain boots and dust off the bicycles. Spring is coming, and we couldn't be more ready. Here's our guide to making the most of the month in Toronto. From bunnies to brunch, there's a lot to do in Toronto this Easter. From a day or weekend off to full week's staycation, we've got some great new ways to spend marvellous March Break. Spring might not quite be here yet, but we plan on spending this month making sure we will be ready for it. From rain gear to Easter eggs, here's our guide to getting the most out of March in Toronto. It's almost upon us—a lovely treat of a long weekend that focuses entirely on family—no presents, rituals or special cooking required. So unplug from the devices, turn Netflix off, and spend the whole day, weekend or even month together taking in some new experiences. The usual attractions will have great programming, of course, but we wanted to offer you some new ideas and events that you otherwise might not have stumbled upon. So get out there and get exploring! It's almost upon us—a lovely treat of a long weekend that focuses entirely on family—no presents, rituals or special cooking required. So unplug from the devices, turn Netflix off, and spend the whole day, weekend or even month together taking in some new experiences. Deep breath. With the hectic holiday season past, it's time to relax, regroup and look to the year ahead. Here's our guide to making the most of January in Toronto. The holiday break is so close, we can taste it. And we know that after a day or two of watching movies and playing board games, the kids will need some outings to burn off steam and broaden their horizons. But after gift giving for everyone on our list and playing Santa, we're in need of free or (pretty darn cheap) adventures. So here they are—a list guaranteed to ward off cabin fever and keep the holiday spirit high. The holidays are here! 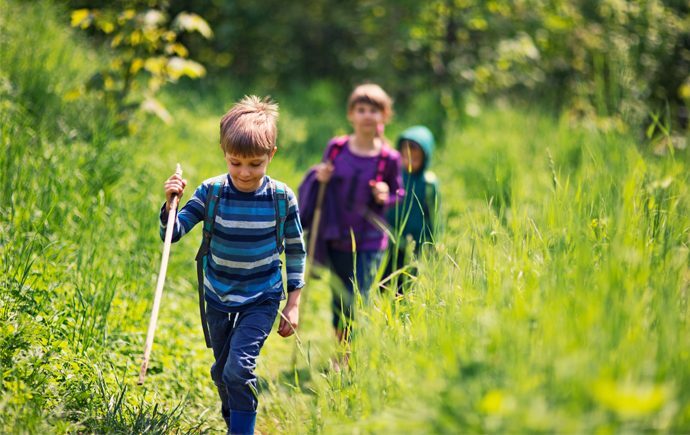 We know that after a few days of downtime the kids will need some outings to burn off steam, but after the holiday spending spree, we're in need of free or cheap adventures. It's official—the holiday season has arrived! Here are our tips for minimizing the crazy while maximizing the fun. It's all here in our Savvy Guide to doing December in Toronto. What if Peter Pan took a wrong turn out of Neverland and fell down the rabbit hole, into Wonderland? Curiouser and curiouser! Putting the Pan into Pantomime, Ross Petty is back with another production that you and your family will love this holiday season. Sure, November may have a reputation as that dreary month between Halloween and the start of holiday-party season. But that's why it's the perfect time to cozy up with the family before your calendar fills up. Here's our guide to making the most of November in Toronto. After the frenzy of Halloween night is over, enjoy the dazzling jack-o'-lanterns and community bonding with one of these pumpkin parades in the GTA. With the kids settled in at school, we're looking forward to all the fun that October brings, from Thanksgiving to farmers' markets and—their favourite!—Halloween, of course. Here's our Guide to making the most of October in Toronto. Oh, summer. We know your swan song is approaching when the CNE rolls around. And it's perfect timing, because there are so many fun and exciting things to do at the Ex that we'll be having too much fun to notice that Labour Day is right around the corner. So let's get out there! August is here, and we're in the dog days of summer now. Our Savvy Guide to August in Toronto is here to help you rock the second half of summer while (slowly) making the shift to back-to-school season. Festival season in Toronto is now in full swing, so if you're wondering where to start or which are the most family friendly, we've got you covered! 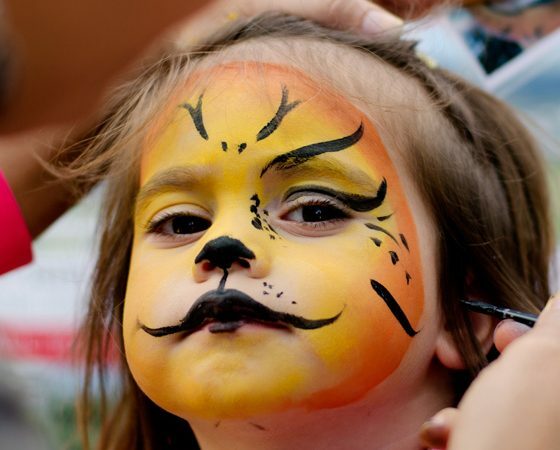 See our picks for the best family-friendly festivals on this summer in Toronto. Festival season in the city is now in full swing, so if you're wondering where to start or which are the most family friendly, we've got you covered! Go ‘on Safari' and get closer than they could ever imagine to over 1,000 birds and animals! 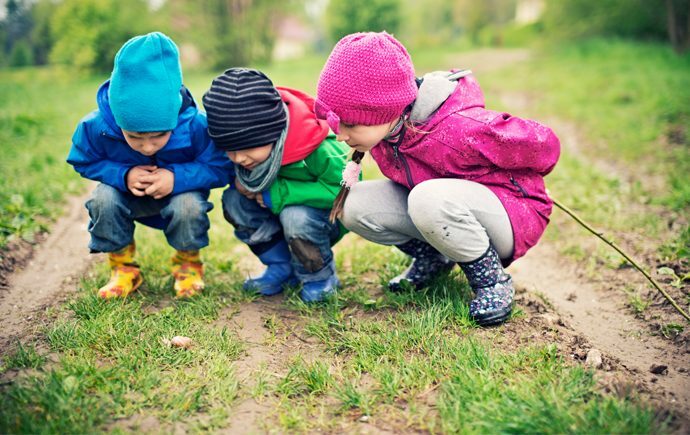 Watch in awe as your little monkeys are inspired by nature's most amazing creatures roaming freely around them and learn about the importance of wildlife conservation. Summer has arrived at last! Here's our guide to doing July in Toronto, and making the most of your family time this sunny season. Wednesday July 1st is Canada Day, so get your red and white on and get outside for some terrific patriotic fun in Toronto. Here is our picks of the best events on around town. Canada Day is almost here, so get your red and white on and get outside for some terrific patriotic fun! Here's what's on in Toronto. Sunday, June 21 is a happening day in the city. 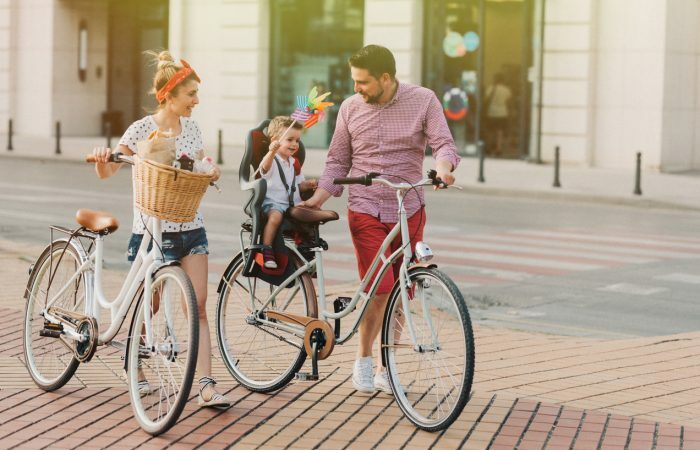 It also happens to be Father's Day, so put aside the tie and give him a gift he'll really love: the gift of a family outing to one of these amazing events across the city. Think the Pan Am games are just about sports? Well there's so much more! This summer, discover 41 countries through PANAMANIA, a series of free cultural events running throughout July and August. Here are the best bets for your family-friendly Pan Am adventure. There's so much to love about May. The warmer days bring the kids outside to play, there's a long weekend to look forward to and, most importantly, it's Mother's Day. Here's our guide to May in Toronto. Running is a great way to be together, be active, and be off the devices; so pick a weekend, pick a race and get to it! It's time to dust off those bicycles and say hello to your neighbours. Spring is finally here. Here's how to welcome the new season with our Savvy Guide to April in Toronto. Easter is almost here. 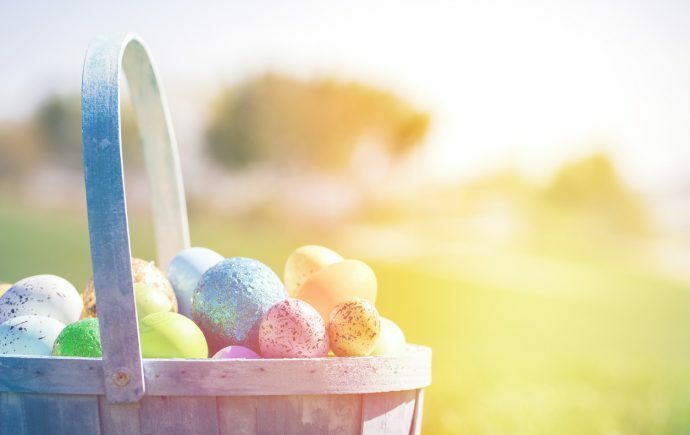 And beyond the wonderful family get-togethers and at-home egg hunts, there's a lot to do in our fair city to fill this long weekend and make it memorable. Plus, free chocolate. Winning. So check out these events, they're sure to put a hop in your step.